Captain Fill-in-the-Blank, fearless leader of the Chicago Blackhawks, is celebrating a birthday. Do you think he eats cake? I think he does today. A whole cake, in front of the TV, yelling at the Flyers/Devils game sounds about right. I might do the same – you know, in solidarity. Then we can go to the gym. The Toews Fan Club meets here every time I post about him, so there’s not much else to say. Stanley Cup, Conn Smythe, Gold Medal, a lake named after him… he’s had a good 23 years, 365 days. The Hawks season is over (*sniff*) but Jon and his team will be back in October t0 go again. Here’s this year’s Last Day of School interview [link]. 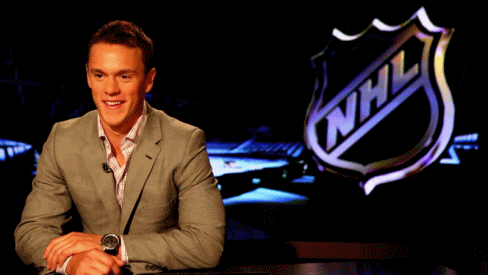 Last year’s Birthday Boy: Jonathan Toews post, just for fun (and more photos). If I were ever on a sinking ship, I’d want to look across the deck and see Jonathan Toews in charge of the lifeboats because you know everyone is getting to safety in a single file line holding their toothbrush and enough money to call home. "Toes the Day? I don't get it." I do go on about Tazer, particularly the game seven-tying goal against Vancouver in the first round last year. I can’t help it if he scores this by sheer force of will! The Blackhawks didn’t even win, but aside from Parise’s gold medal game-tying goal, I can’t remember being so impressed in a losing effort. Hold on, Pants is going to post this. This goal is not the singular heroic physical effort of last year, but it finds the back of the net because Toews has patience. Two strides, one look, puck in the net. Game six in Chicago on Monday night. 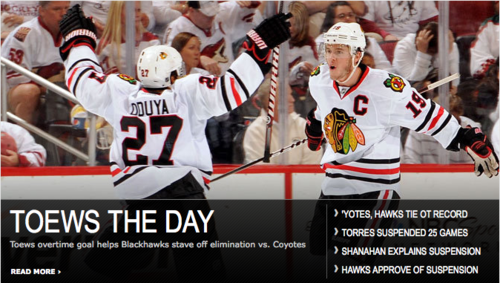 The moral of the story is: never, ever count Jonathan Toews out. 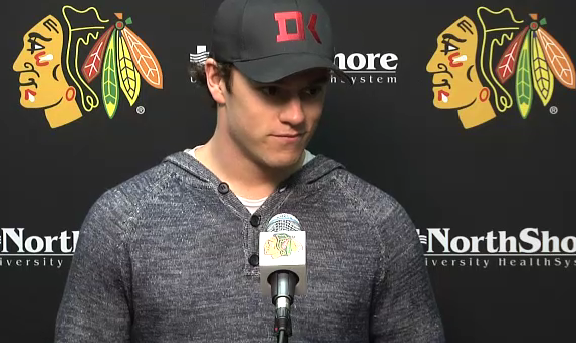 Sometimes he just seems to decide the Hawks won’t lose [post-game interview]. Of all the current NHL captains, he’s the one I’d want for my team – or my ship. 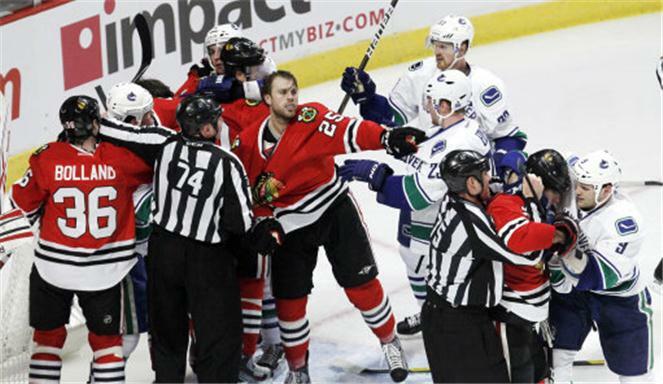 Viktor Stalberg, WTF? He took all four of the Hawks penalties last night. 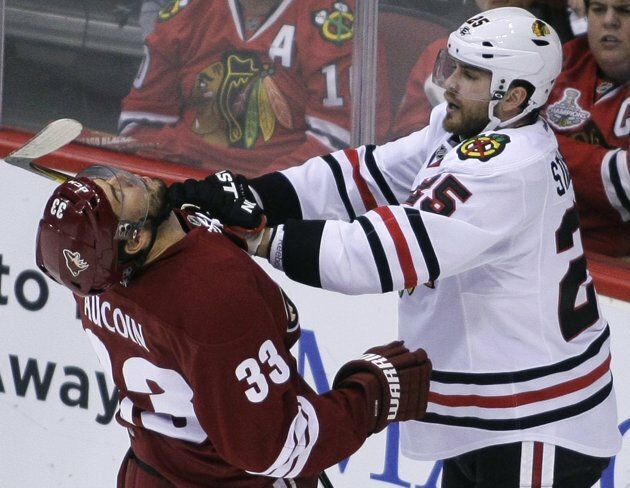 Luckily the only thing worse than Stalberg’s game was the Phoenix power play, and it didn’t cost Chicago any goals. The Hawks are short-handed up front in the absence of Marian Hossa, but I was still surprised to see Quenville putting Stalberg back out there every few shifts. Luckily he got the sole assist on the Toews OT goal. Stalberg had 10 points in the last 12 regular-season games and the Hawks could really use that now. Come on, Foxy Friday! At Ginny’s Little Longhorn Saloon in Austin, TX, every Sunday night they play Chicken Sh*t Bingo. It’s exactly what it sounds like – feed a chicken, turn it loose on a tabletop bingo board and wherever it takes a crap, that number goes on the board. I’m pretty sure this is also how the NHL is deciding suspensions. The chicken really likes James Neal, because he gets away with the Couturier hit like a bank robber with a sack of money. He leaves his feet to run two guys in one shift and manages to earn two disciplinary hearings for only 42 seconds of play! Someone please tell me if that’s a land speed record. You know I love the Pens & Neal (still so pissed), but even I can’t believe this. No I don’t want a huge suspension handed out to my guy – but I don’t know other players running my guys with zero fear of consequence. This works both ways and next time, it’s coming instead of going. To me this shows the NHL believes the Pens/Flyers series is over tonight, so the chicken did her business on the 1 because there’s only one game left in Neal’s season. God, I hope they’re wrong. Be honest if you can see the sense in this: Carl Hagelin got 3 games [video] for elbowing Daniel Alfredsson and Andrew Shaw got 3 games [video] for hitting Mike Smith. If those are 3-gamers, why is Neal’s only one? Alfredsson was injured, Smith was not. Neal could much more easily have avoided Giroux than either of the other hits. And neither Hagelin or Shaw threw another questionable check less than a minute before. 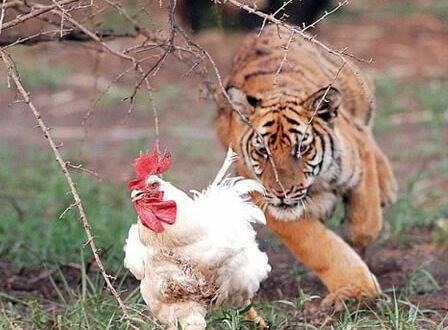 The chicken was angry – fine with me. This is a terrible move in a terrible game that could repeat itself tonight. For all the bitching about Schenn cross-checking Crosby from behind a few weeks ago, this is obviously a hundred times worse and deserves a sit-down. A stick to the face for a Backstrom-less game 4? Deal of the century! Thanks a lot, chicken! This play is no dirtier than a million uncalled penalties in this series. But it is, as Shanahan calls it, “excessive and reckless” – because he can’t say “stupid and pointless.” Nicky’s not going to fight Peverly anymore than I’m going to be proclaimed Queen of Canada. He has been run constantly in this series – because he’s the Caps best player. And he gave it away for nothing. The Caps got through 40 games without Backstrom this year, here’s hoping they have one more in them. You need 5 in a row to win bingo. Just when the NHL had suspended 7 players in the first round (only 6 suspensions in all of last year’s playoffs), Phoenix’s Raffi Torres does this. Marian Hossa was stretchered off the ice and taken by ambulance to a local hospital, from which he was released last night [link]. He got into a waiting car under his own power. Torres has been suspended twice and fined once in the last 13 months [link]. 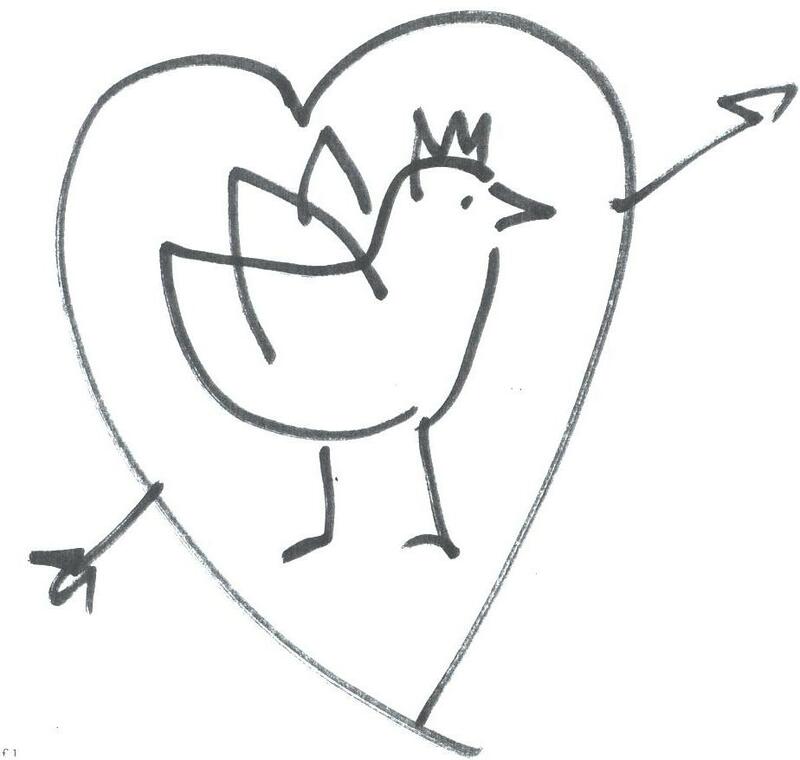 What do you think the chicken will have to say about this one? If suspensions are being doled out based on some other system (say, player popularity? ), where on the bingo board does this load land? No question that’s a dirty play. Daniel Sedin struggled back to the bench, played one more shift then went to the dressing room [link]. Keith got an elbowing minor and now everyone fully expects him to be suspended. The NHL has not yet announced a hearing, but with four days till the Hawks play again there is no rush. 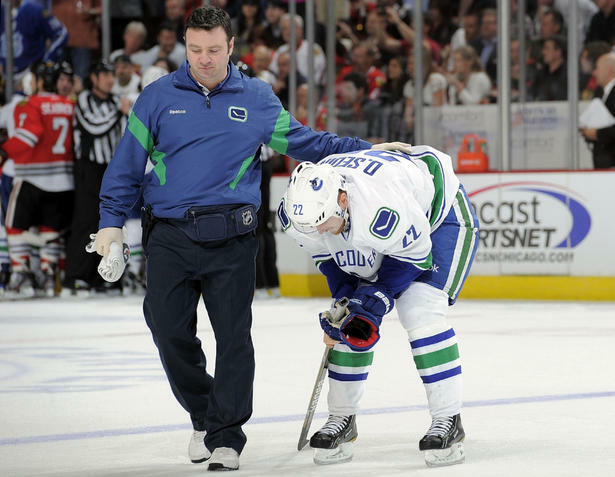 Sedin will be re-evaluated today in Vancouver and any sustained injury considered in the case against Keith. Henrik Sedin spoke after the game, saying Keith “did what he wanted to do” [link]. The Canucks are comfortably atop their Division and could still catch St. Louis for 1st in the West and the President’s Trophy [standings]. That dream takes a dive if they lose Sedin – their only 30-goal scorer on the year. They play tomorrow night at Dallas. Doan and Keith have both been publicly contrite about their hits [link], but who cares? Time to start thinking before you get your elbows up, boys. If you can’t do it for safety at least do it for your teams down the stretch. But really, do it for safety. This overtime, come-from-behind, shootout nonsense is taking years off my life. 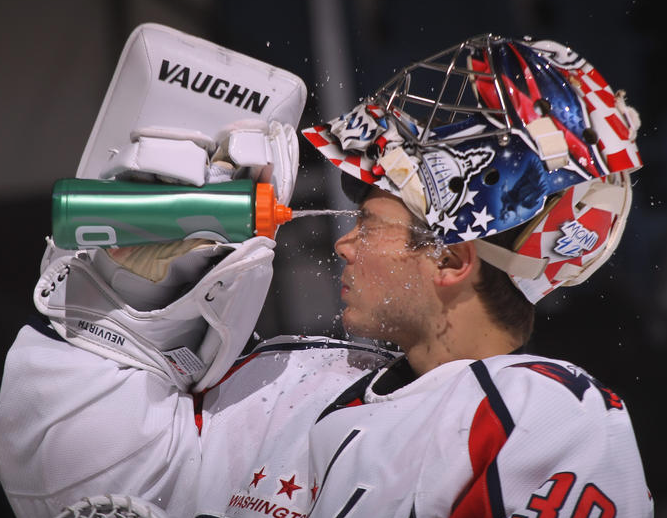 The Capitals rallied from a 0-3 deficit to beat the NY Islanders in a shootout last night. Foxy Friday John Tavares had 2 G + 1 in the shootout, and so did Ovi. OVI! I don’t like you but I love you and that’s just the way it’s going to be sometimes. There were five penalties in the game – all of them against the Capitals. Three of those against Jay Beagle. Dude scores twice in a week and thinks he’s Alex Semin. That's how we feel, Kitty. 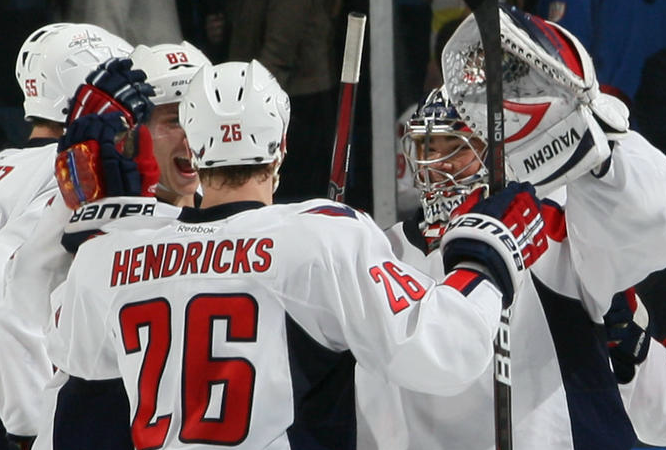 Matt Hendricks scored the game-winner for Washington in the 4th round of the shootout. Matt-freaking-Hendricks. [Video link] This was a huge game for the Caps, who’ve won four in a row for the first time since dinosaurs roamed the Earth. Yay for wins, but these late-game comebacks are rewarding bad behavior. Big game vs. Winnipeg Friday, with Mike Green back in the lineup. Oh, and THIS! Nicky skated for the second day in a row. Rainbows sprung up all over DC and puppies started barking. The Blackhawks turned around a 1-3 score against the Blues to win 4-3 in a shootout. Viktor Stalberg scored one off his foot – this most perfect foot in hockey, judging by the rest of him. It got Chicago back in the game. 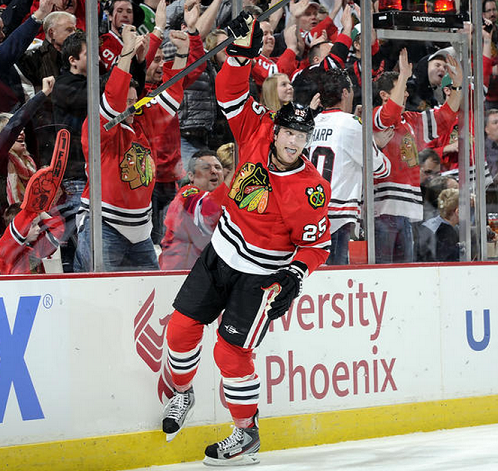 Patrick Kane went first in the shootout and delivered the game-winner. Here’s Kaner’s goal too [link]. There were two fights in the first period, which seems about right for these teams. What’s still not right is Captain Serious, who took a second day off after four days of skating. There’s no projected date for his return to the lineup as he’s still suffering concussion symptoms. Get well Jon, we miss your derping. Calgary beat the Sharks in OT, despite Rookie of My Life Logan Couture scoring his 29th and 30th goals of the season. Foxy Friday Ryane Clowe had his 7th fight of the season, one for every gratuitous letter in his name. 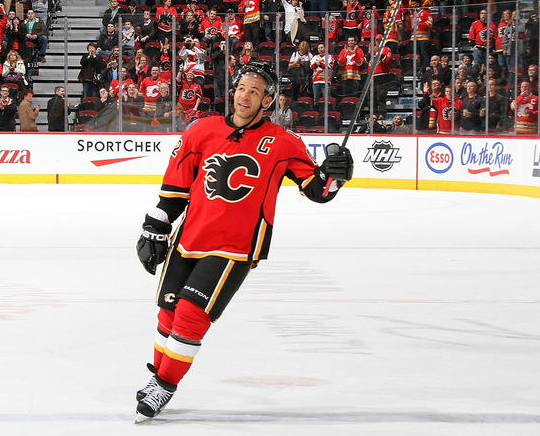 Jarome Iginla had 1 G/1 A and was first star of the game. Six games on the schedule tonight, so chances are at least one of you will be up late yelling at the TV. 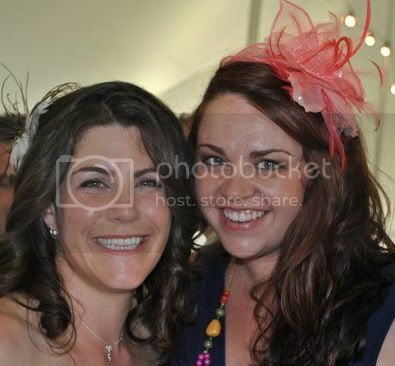 Larger version of this photo, probably NSFW (unless you work at WUYS) – link. 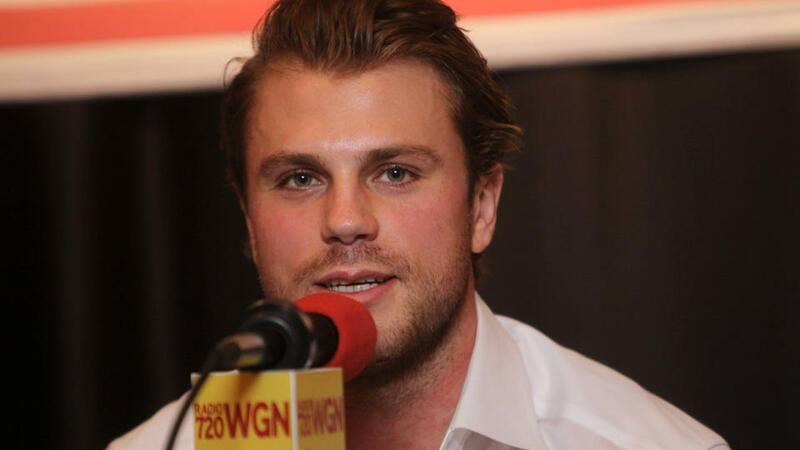 The Blackhawks don’t have a game tonight, so maybe Stalberg’s just got the day off. Lindsay dumped her whole wallet into a wishing well somewhere to be sure. Since there’s nothing else to report, enjoy this.